Patrolman Matthew Forgach suffered a fatal heart attack while responding to an automobile crash at Kirmar Parkway and Center Street. He was responding from his home to Wanamie when he was stricken with a fatal heart attack. He was able to pull his vehicle over at the intersection of Main Street and Third Street, in Glen Lyon. Local residents discovered Patrolman Forgach and took him to a local doctor who pronounced him dead. 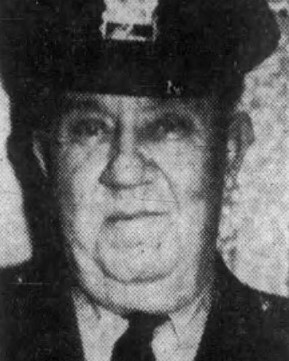 Patrolman Forgach served with the Newport Township Police Department for 35 years and had planned to retire on his 62nd birthday on February 24th, 1960. He was survived by his wife, two sons, and daughter. His son was a state trooper serving out of Norristown Barracks. Rest in peace Patrolman Forgach.